APEX Building Company provides roofing restoration systems designed to provide a long term, sustainable roofing solution utilizing spray polyurethane foam. When combined with our protective coating systems you can create a roof system that will not leak, provides superior insulating power along with the energy efficient reflective qualities so important in reducing the life cycle cost of your roof. 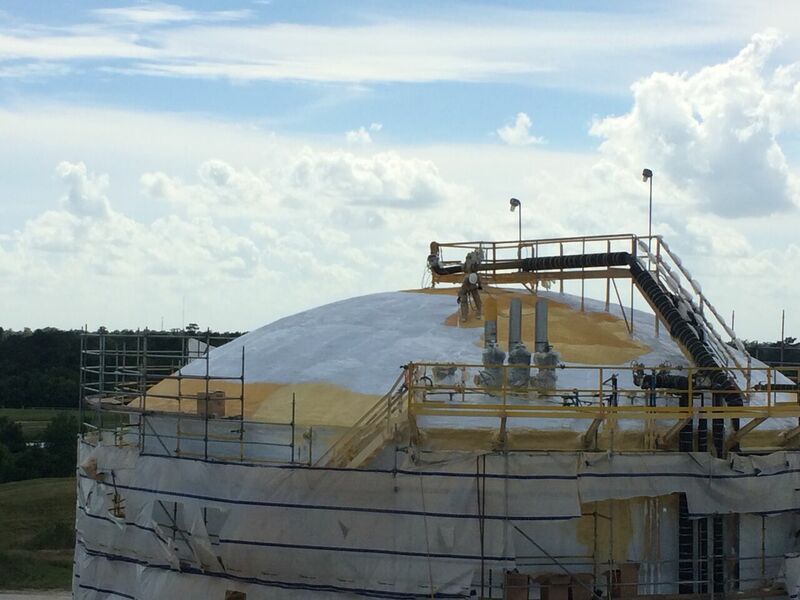 We are the company of choice for installing high quality, sustainable, spray polyurethane foam (SPF) roofing systems that waterproof, insulate, and protect commercial and industrial buildings. Our spray foam roofing systems are spray and fluid applied for a complete seamless application with no joints or transitions to fail and cause leaks. If you are located in Nashville TN and looking for a complete spray foam roofing install, give us a call! Our turnkey solutions help reduce architectural costs, maintenance and streamline all phases of a roofing project, from the initial inspection to the application of a durable, energy-efficient, insulated roof. State-of-the-art installation technology ensures that the roof system is applied with a perfect taper over any distance, providing positive drainage for flat roofs. WHY INSTALL A SPRAY FOAM ROOF? You have choices: Install as new system over most roof decking substrates or apply over an existing built up roofing system as a cost effective alternative to a complete tear-off. 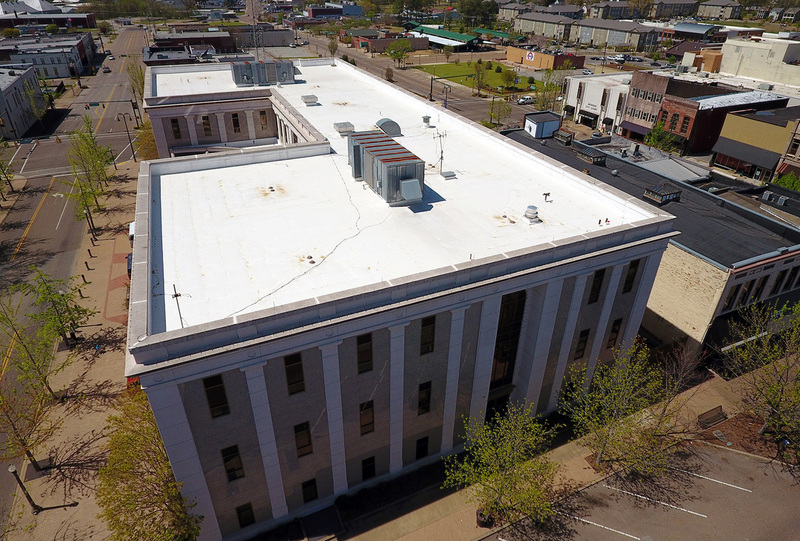 A spray polyurethane foam application provides a seamless monolithic roof system with no joints, seams or cracks that would allow moisture, heat or cold to enter. The high R-value of Closed Cell spray polyurethane foam will reduce the energy usage of any facility. Our roof coatings will complete your new roof system or restore your existing roof. The elastomeric coatings provide an additional weather-tight seal along with the UV light protection that will create a long lasting roof solution for the commercial property owner. APEX Building Company has extensive experience with roofing projects in all segments of commercial and industrial construction. From retail to municipalities and governments, to schools and churches, and even the military, we’ve exceeded the expectations of our customers when installing new roof systems or maintaining and repairing existing roofs. Contact us online today by filling out the form, or call us at 888-581-1783 to schedule a FREE quote!